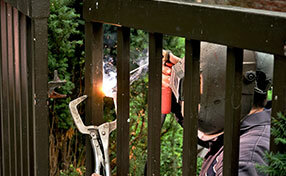 When you call “Gate Repair Santa Clarita”, you can benefit from reliable gate and garage door repair services. 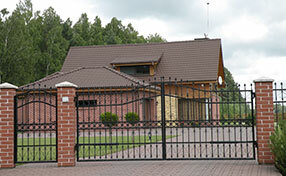 We offer these because modern home and commercial property owners need durable and secure gates and garage doors. We have been specializing in simple and complex doors and opener systems to provide professional services to our clients. We can provide the best garage door products for installation, and deliver same day service, on the spot assembly and repair, or respond anytime of the day. We are proud to deploy highly skilled technicians backed by experience and training. We offer nothing else but same day service. Once you call us, our technician comes equipped with the tools and supplies needed to complete the job swiftly. We would not want to waste each other’s time, and being experts in the field, we are confident to work on various types of garage doors at the most efficient time. However, in instances that longer time is needed, we do explain to customers what needs to be done and the length of time needed to complete it. We know how inconvenient and unsafe it is to have damaged garage doors, so we want to take care of it as soon and fast as possible. We now offer 24/7 emergency repair services. We have experienced customers calling us beyond office hours. We realized that there is no certain time when a garage door could be in trouble, especially if it is not properly maintained. This is why we now have technicians who can respond late at night or anytime after regular office hours. You can be at ease knowing that you have someone to call in case your door causes problems. We guarantee prompt response and professional quality repair and service. Do you have a new door opener that needs to be installed? Never take risks. It is always worth entrusting it to professionals for your safety. We can work with LiftMaster, Genie, Chamberlain and any other brands. You can be sure that your door will be conveniently and safely operated because our workers are trained and experienced. If you need parts for your door or opener, we can be your best source. “Gate Repair Santa Clarita” is an authorized distributor not just of major garage door brands, but also of various parts. This is the same reason why we can deliver quick repairs. We are fully stocked with supplies from major brands so you do not have to look elsewhere if parts need to be replaced. 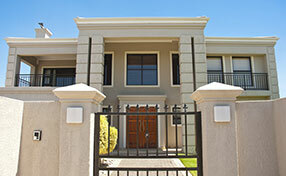 You have come to the right company because we are not just gate repair specialists, we are also garage door experts. 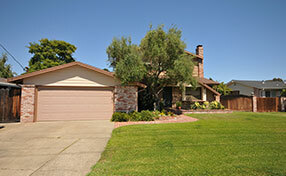 There is no need to enumerate all the repairs that we are able to do. Our years of experience and loyal customers can attest to our competitiveness. We even charge reasonable prices for products and services. Our skills and customer service is unmatched. With us, you have everything you need for a safe and dependable overhead door.